The Big Reset (2013) fully explains the need for a major reform of the world’s financial system. Now, a new anchor for world’s monetary system needs to be found. The Chinese, ever more in the driving seat of global finance, have made it very clear that the Special Drawing Rights (SDR) of the IMF is the preferred future international world reserve currency. The issue with SDRs as a true reserve currency thus far had been its lack of liquidity. 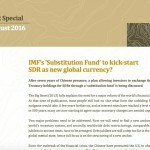 There were simply not enough SDRs in circulation for it to play a major role in international monetary finance. To cope with countries that wanted to get rid of large dollar positions, a ‘Substitution Fund’, run by the IMF, was proposed. This fund could facilitate a direct exchange of dollars for SDRs. The liquidity issue would be resolved with one stroke of the pen, as an SDR would be created for every dollar that was exchanged. This substitution fund is now finding general appeal, and should be seen as a next crucial step in the big reset. 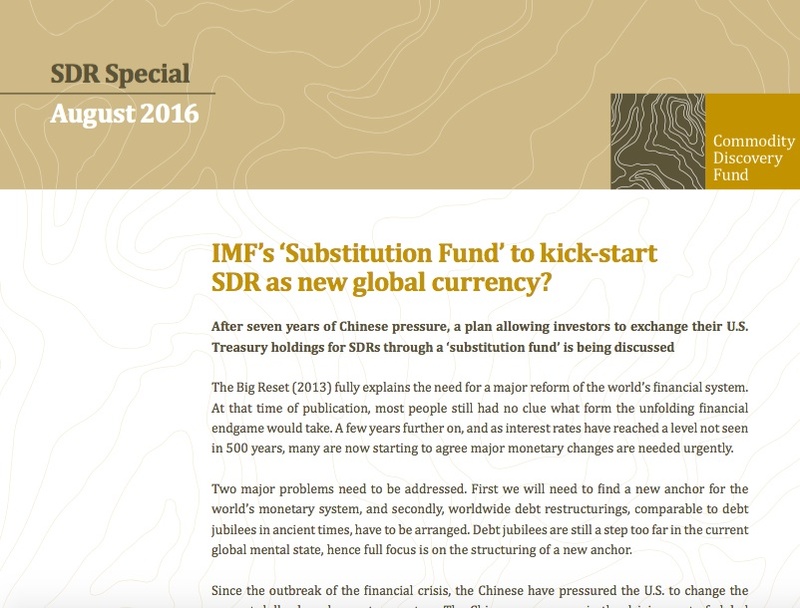 Willem Middelkoop elaborates on this important theme in his SDR special: IMF’s ‘Substitution Fund’ to kick-start SDR as new global currency?